Our 18PT C1S trading cards are great for personal or business use. 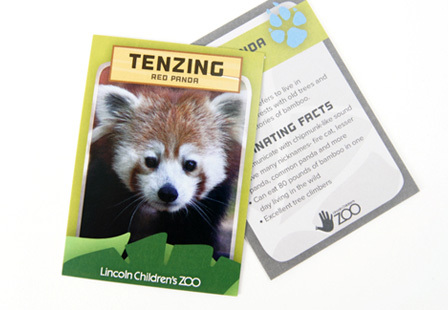 You can grow your business awareness in a fun and exciting way with these custom trading cards. Not only can you promote a business, but you can also highlight a sports team, pet, band or use them as custom gaming cards. The possibilities are endless. The cards are coated on the front (makes for more vibrant colors) with no coating on the back (results in slightly duller colors) allowing you to write on them with pen or pencil. Paper: 18PT C1S (Coated 1 Side) Card Stock. Coating: Glossy UV coating is available on one side of the card. The other side will be uncoated and easy to write on. Please Select 2.5" x 3.5"